The Global Health Supply Chain Program Technical Assistance – Tanzania (GHSC TA-TZ) project, supported by the United States Agency for International Development (USAID), provides expert technical assistance to Tanzania to strengthen country supply chain systems across all health elements, e.g., malaria, family planning (FP), HIV/AIDS, tuberculosis (TB) and maternal, newborn and child health (MNCH) as well as essential medicines and medical supplies. In coordination with in-country and development partners, GHSC TA-TZ assists Government of Tanzania (GoT) health programs by providing strategic planning and implementation assistance; improving the delivery of health commodities to service sites; providing capacity building support to broaden stakeholders’ understanding and engagement of the supply chain system; and strengthening enabling environments to improve supply chain performance. The Logistics Management Services (LMS) Advisor will work under the technical guidance of the Capacity Building and Data Use Team Lead, and is focused on building capacity of LMS staff, She/he is dedicated to ensuring that LMS staff have the skills required to enable them to fulfill the scope, functions, and activities of the LMS as described in the updated LMS Charter, and supports the transition of the LMS to GoT. This position will be based at the GHSC TA-TZ project office, either in Dodoma or Dar es Salaam, with occasional travel to zones. Develop an approach for ongoing capacity building of LMS staff and related curriculum, tools, job aids, etc. Cultivate leadership and management skills of individuals responsible for managing the LMS, including leadership at PSU, MSD, and Po-RALG. Assist in monitoring the performance of the LMS, highlighting areas of improvement, and developing plans to address those areas. Update supply chain related SOPs and related training materials as necessary. Conduct training on technical supply chain topics, consulting skills and administrative topics. Prepare presentations, participate and/or represent the project in stakeholder meetings. Complete and submit in a timely fashion written technical and trip reports. A qualified Pharmacist, Degree in Supply Chain Management, Public Health, Statistics, or related degree with at least five years of experience in health programs. Experience working in Tanzania’s public health supply chain. Ability to handle multiple tasks, set priorities and work independently. 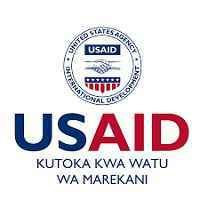 Experience working with the Government of Tanzania and other NGOs preferred. Interested candidates are invited to send their cover letters, Curriculum Vitae with names and contact details of 3 work-related references, enclosing certificate copies of relevant education and training. The submission may be sent to [email protected].com by 30th April, 2019. Only candidates meeting the minimum requirements will be contacted. If you have not heard from us within two weeks after the closing date, kindly assume that your application was not successful. GHSC is an equal opportunity employer.